The unidentified writer of this psalm borrowed elements from at least four other psalms (22, 31, 35, and 40) as this song was composed. 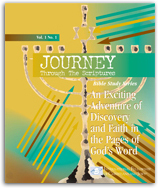 The numerous references to youth and aging point to the author as an older, mature person who followed the God of Israel since his youngest days. He speaks of how God has been his confidence and strength his whole life. We also see a deep desire both to continue praising God for His blessings, and to teach the younger generation about His ways. One reason this psalm speaks so powerfully to us is the writer’s transparent honesty. There is no attempt to pretend that life is always easy. Indeed, the psalmist said God had “made” him see hard times. Our own experience confirms the fact that belief in God is not a guarantee that we will escape difficulty or suffering. But we have God’s promise that He will sustain us throughout life, just as He did the author of this comforting, hope-filled psalm. What comfort do we find when we make God our refuge? Was the psalmist expressing doubt in God’s care when he asked the Lord not to forsake him or cast him away (v. 9)? Why do you think the writer was eager to tell the next generation about God’s power? Why did Israel’s psalmists, like this writer, feel so free to honestly express their feelings to God, even when those feelings were negative? Why do the Psalms refer so frequently to the use of musical instruments and singing to praise God (see vv. 22-23)? What an encouraging picture of an older person reflecting on God’s lifelong faithfulness! This writer had no regrets about his decision to follow God, and God had blessed him for it. It will be incredibly rewarding someday for us to look back and know we lived life to the fullest for the Lord – so let us be faithful today!